Situated near the airport, this luxury bed & breakfast is 1.6 mi (2.6 km) from Shearwater Park and 1.9 mi (3.1 km) from Rabbit Island. Devonport Ferry Terminal and Home Hill are also within 12 mi (20 km). Situated in Port Sorell, this golf apartment building is within a 15-minute walk of Port Sorell Jetty and Rabbit Island. Panatana Paddling Pool and Family Park and Port Sorell Golf Club are also within 1 mi (2 km). Situated in Port Sorell, this apartment building is within 3 mi (5 km) of Port Sorell Golf Club, Panatana Paddling Pool and Family Park, and Rabbit Island. Port Sorell Jetty and Shearwater Park are also within 3 mi (5 km). 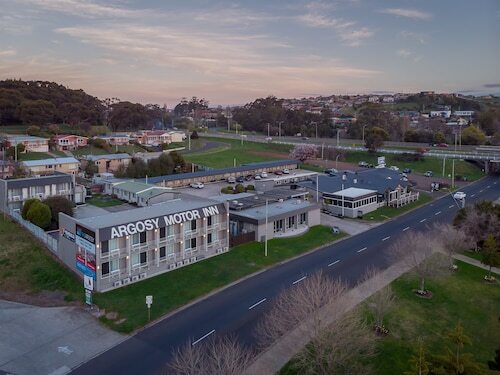 Located in the heart of Devonport, this hotel is within 1 mi (2 km) of Devonport Regional Gallery and Bass Strait Maritime Centre. Mersey Bluff and Home Hill are also within 2 mi (3 km). Port Sorell is ‘the port of golden beaches’. A small seaside town in the North-West of Tassie, Port Sorrell is a great place to swim, fish, bike ride around the shore or just relax. It’s also close to three beaches, a national park and the major city of Devonport. 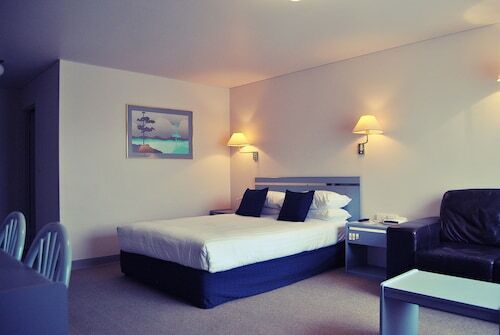 For a chilled-out summer holiday, book your Port Sorrell hotel with us. Originally a fishing and sealing port called Burgess, Port Sorell is still a popular place to reel in a catch. The Rubicon River starts at Port Sorrell Jetty and winds 38km through Tassie before wrapping things up in Elizabeth Town. Hire a dinghy and catch yourself a juicy southern black bream for lunch (you can pack it in your picnic the next day on the shores of the estuary). The Rubicon River Estuary has 1% of the world’s pied oystercatchers, an orange-beaked black and white bird commonly found on the Australian coast. Freers Beach, Shearwater Beach and Hawley Beach are nearby so you can take a swim in summer or relax with a long walk. 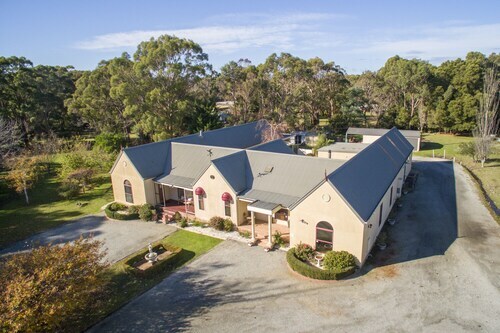 The suburb of Shearwater is just a kilometre away from Port Sorell and is home to the Port Sorell Golf Club, as well as an assortment of restaurants and cafes. Narawntapu National Park starts on Baker’s Beach, two hours’ drive away, and has all kinds of Tasmanian wildlife, including Tassie devils, Forester kangaroos and wombats. It has all kinds of scenery from wetlands to sand dunes to lagoons, as well as forest walking trails. If you like a drink, drop in for a visit at Ghost Rock Winery, where you can sip award-winning wines while you admire the views of the countryside. Sometimes they even hold a concert, art exhibition or special dinner event. 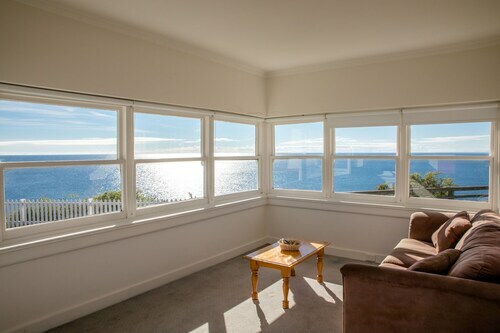 Port Sorell is only a 20-minute drive away from Devonport, so book your Port Sorell accommodation and a flight to Devonport with us. 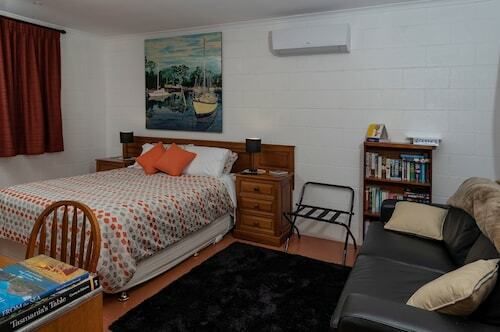 With swimming, fishing, bushwalking and wine, you’ll love your stay in Port Sorell. How Much is a Hotel Room in Port Sorell? 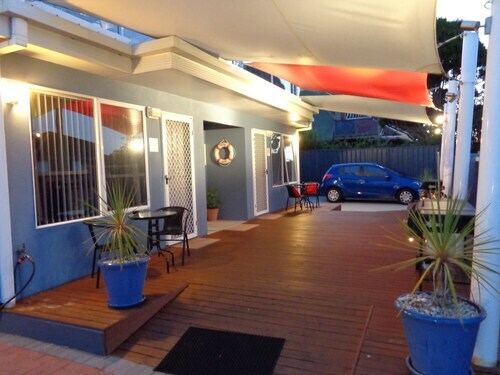 Hotels in Port Sorell start at AU$120 per night. Prices and availability subject to change. Additional terms may apply.